Intact Media Group respects its promise to its viewers and comes with useful information on the abusive removal by RCS TV of the following stations Antena 1, Antena2, Antena 3, Euforia and GSP TV from Digi platform. “RCS still defies his subscribers, ignoring their requests by following their interests: increasing the subscription fee, taking advantage of the situation. This week we asked, in an open letter to reveal the huge amounts they pay for the content of the other television stations. They refused to show openness about it, trying to mislead their subscribers in order to justify a new increase of the subscription. 1. Out of respect for our public, we won’t agree to RCS proposal to overcharge the subscribers for Intact channels. Our stations have always been within the basic package of cable companies, being a landmark in Romanian content and audience. 2. We will enter the game of RCS acting against the interests of its subscribers. RCS continues, knowingly, to deprive viewers from the platform Digi from a right acquired though the contract: access to all programs in the grid. All RCS clients have the right to our channels through their contract. 3. We will not accept the RCS to burden the viewers with an increase in subscription fee. RCS paid large sums to other stations. The cable company believes that the financial support of niche content is more important than the interests of its clients. 4. We owe the status of the most important Romanian media group to our relationship we have built over the years with the public. They chose us and continue to choose us for the quality, relevance and impact of the content created by us. We will support the right to have access to our programs. The interest of our viewers is the utmost importance. Respecting the interest of our viewers means presenting the Intact channels in the basic package of all the cable and DTH operators. There were thousands of messages from Romanians all over the world and all over the country which support this fact. The RCS subscribers are our viewers. We ask the cable company not to ignore them. The TV Division of Intact Media Group expresses its disagreement with the commercial practices of RCS-RDS. The phone number where people can talk about their reception problems 0214091791. The cable company has decided, without previously informing their partners or subscribers, to remove from satellite platform stations Antena 1 and Antena 3, starting at 00, 20th of April. Intact was discussing the distribution of its channels in the Digi network since March, 2012. RCS refused to reach an agreement with the media group, stating that the channels were declared free to air. “The must carry” feature is considered only for the cable network. According to art.82 line 1 from The Audiovisual Lay and art.13 line 3 from The CNA Decision no 72/2012, the must carry status is not applied on satellite broadcasting, the retransmission in this case is made on a commercial agreement between the broadcasters and the distributors. The cable company proves therefore that they don’t know the law of audiovisual, asking Intact Media Group to offer free content, even though the law regulates the satellite broadcasting. It is bad faith in the RCS –RDS case towards Intact and its subscribers, especially given the fact that international channels are broadcasted with considerable budgets, while their audience is significantly smaller and has a lower national relevance than in the case of Intact. Intact Media Group reaches today over 10 million Romanians, having a strong portfolio with landmarks brands in the Romanian television, print, radio, online and production among which Antena 1, Antena 3, Jurnalul Nationa, Radio ZU or gsp.ro. INTACT Media Group announces the launch of an integrated media platform- Income, which will address the entire business environment, and will be declined on print, online, TV & radio. The multiplatform concept debuts on the 25th of April, with the “Business Innovator” forum. The forum will concentrate on business innovation. Income Magazine will be available on the 26th of April. It is a weekly, glossy magazine and it addresses mostly small and medium companies, top and middle management, business owners and future entrepreneurs. Starting April, 28th INCOME will be declined on TV, at 13:00 on Antena 3 and on radio, at 09:30 on Europa FM. The TV show will be presented by Sorin Barariu and the radio programme by Iorgu Ianosi. The content of the two programmes will be synchronized with the magazine and business portal, but it will also develop additional materials according to the opportunities offered by each media support. 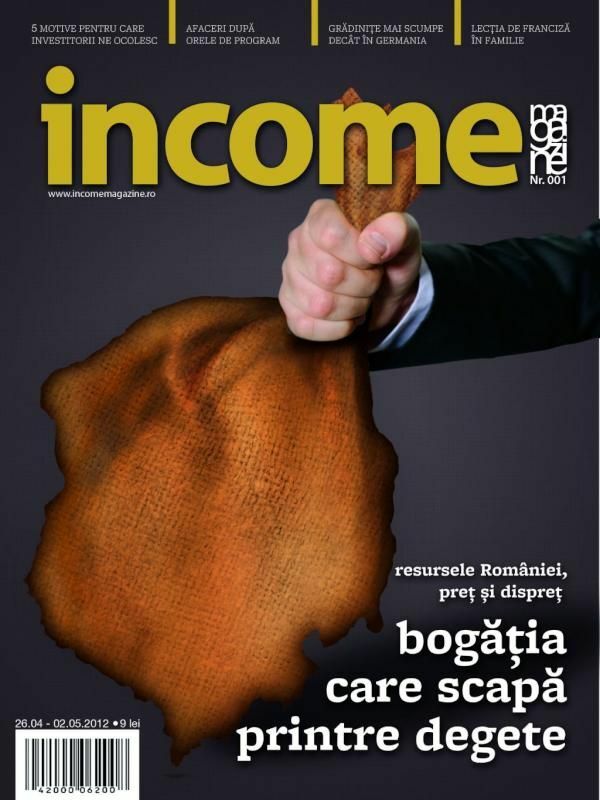 The business portal, www.incomemagazine.ro, will include and expand the content generated by the magazines and the programmes, offering daily information, in a contextualized approach, with attitude, human touch and dinamics given by current events. Intact Media Group considers RCS – RDS fully responsible for depriving viewers and clients of thechannels Antena 1, Antena 2, Antena 3, Euforia and GSP TV. RCS failed to comply with any of the rules of commercial conduct, deliberately ignoring the requests of Intact Media Group to reach an agreement and taking unexpected decision to remove the key programs on satellite channels Intact a day before the scheduled negotiations of the retransmission. RDS RCS chose to deliberately stop negotiations, triggering a serious violation of the interests of its subscribers and their contracts. RCS-RDS received hundreds of millions from subscription agreements with viewers, money that were invested in their own television stations which were closed six months after the launch, thus defying the clients’ interests. RCS-RDS pay annually millions for the retransmission of dozens of posts with insignificant audience. The cable company tries to broadcast for free the TV channels of the most important Romanian media group, which records important audience. RCS-RDS collects therefore large amounts of money from the viewers of Intact and uses them to finance their own posts launched for political interests. IMG asks RCS-RDS to make public the am money that they pay for the retransmission of the other stations. This way, the public could realize the deliberate, abusive attitude RCS-RDS has towards the Romanian stations with significant audience. Through manipulative techniques used by the current administration, RCS misinforms the public and use it as an element of pressure on INTACT trying to justify the removal of the channels through political considerations. Intact Media Group thanks its viewers for their manifested solidarity For complaints about abusive removal of the Intact channels from the platform Digi TV, the public can call the phone number 0214091791, where operators take calls 24/24. CISEROM, the Romanian socks brand was awarded the title “The Most Promising Romanian Brand”, during the second edition of the program. The Most Promising Romanian Brand is a competition for the local companies and brands. The winner of the completion, CISEROM is a brand with a history of over 85 years in the production of socks in Sebes. The prize consisted in a full rebranding program with the aim of improving its image according to international standards. All those who are interested in finding out about the latest events in media, or about the opinions of the national or international professionals, can now subscribe to The Industry. Without a subscription, the magazine can be read in three locations from Bucharest: Carturesti – Verona, The French Institute and AFI Palace Cotroceni. The Intact Media Group employees went yesterday (Wednesday, February 15th) to those areas of the country, with the most problems caused by the abundant snow. They went to Goldeanu – Silistea, with tones of aliments( bread, potatoes), 100 boxes of water bottles , tons of milk, 200 cans and many worm clothes, beds and 500 boxes of medicine, lanterns and batteries, carried by two trucks and a helicopter. In January 2012, Intact Media Group‘ s TV division continued to rise, recovering a major part of the difference which separated them from Central European Media TV stations, was published in a press release this week. Thus, Intact Media Group’s TV stations are growing on all time slots and are becoming leaders on the Whole Day (2:00-26:00 time slot), Access prime time (4:00 p.m. to 7:00 p.m. time slot), Day Time (10:00 a.m. to 4:00 p.m. time slot) and Late Fringe (23:00-26:00). Raed Arafat’s resignation and the public demonstrations in his support across the country, the oppositions rally and the presidents live interventions, as well as the Supreme Court’ s decision regarding the unconstitutionality of the merged elections were the main events that marked the first month of 2012 and the majority of Romanians viewed them at Antena 3. Intact Media Group announces the successful finalization of the public auction regarding the sale of 10% of GRPs for the TV division. The transaction costs of the packages presented an increase of 15% in price since the start of the auction. Intact Media Auction took place on the 19th of December 2011 and consisted in the auction of 10% of the advertising space of the TV stations of the group. The target was 15-54. The price was unique and transparent. The offer included 3 types of packages of 300.000, 50.000 and 700.00 euro. This strategic movement is triggered by both legal and operational reasons. Therefore, there will be a stronger connection between those who sale, analyse and manage the publicity space for the TV brands of Intact Media Group. In the sales team there will be sales managers, people in charge of research and analysis and also a special projects team. 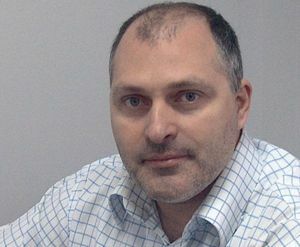 The sales team will be managed by Cristian Mucichescu, the former Managing Director of OMD. The most desirable media specializations, a group of professors renowned in the Romanian mass media and modern facilities – Intact Media Academy opens registrations today. During the 20th edition of the Nine O’Clock Gala – “Persons of the Year 2010” – held in January 2011, Alessandra Stoicescu, the President of the “Mereu Aproape” Foundation, received the Special Jury Award. This prize rewarded her engagement in the “Apa trece, Romania ramane” campaign, developed by the “Mereu Aproape” Foundation, which increased awareness among the Romanian population for aiding the victims of the floods from June 2010. On Friday, February 18th 2011, during the “DEMOS T.N.” excellence prizes Gala organized by the Pro Democratia association, the “Mereu Aproape” Foundation received the Excellence prize for civic activity in 2010 for its project “Apa trece, Romania ramane”. The Intact Group starts, Simona Gherghe and Gabriela Vranceanu Firea, were among award winners at the 7th edition of the Gala for Successful Women organized by Professional Celebrity and the Chamber of Commerce and Industry of Romania (CCIR). The event took place at the Chandelier Hall from the CCIR headquarters and it was presented by Mihaela Serban and Gheorghe Turda. Radio ZU, the newest radio station on the market, sweeps off its competition topping the radio sites charts with more than 100.000 unique visitors between 9th-23th of March. Biblioteca pentru toti, one of the most important cultural projects recommended by a newspaper in Romania, could only have been launched by Jurnalul National, which has a long history in supporting and promoting Romanian traditions and values. Whether it’s traditional music or events such as “Folk you “ festival, all these projects have come to life as a statement of reinforcement of national pride. Antena 1 has just celebrated its eighth consecutive increase in market share, with a February share of 12.8% , translating into an amazing 41% growth over the same period in 2008! Antena 1’s super-production “Fetele marinarului” hits the TV screen on February 1st! The much anticipated TV series “Fetele marinarului” (The sailor’s girls) debuted on February 1st, at 20.30, on Antena 1, with a 90 minutes pilot, introducing the viewers to a illustrious acting crew and to breathtaking scenes filmed on location in three different countries. In its 15th year of existence, Romantic FM has one more reason for celebration. The last Radio Audience Survey data reconfirms its third position in Bucharest, in terms of market-share for Romantic FM. Antena 3 has launched the promotion site www.totulredus.ro, a collection of information on discounts applied by the majority of retailers on the market. The element which makes this product unique is that on www.totulredus.com you can find discounts, sales, promotions such as “buy 2 products and get the 3rd one free”, best prices on the market, and you may also earn shopping point credits etc. From food and electronics goodies to car accessories and travel packages, from cleaning services to furniture or home deco products, www.totulredus.ro offers a wide range of information and the best tips for a smart consumer who wants to optimize its shopping budget.